Wayne Starley Richey, 69, passed on to his next adventure on Monday, May 15, 2017 in Woodland, Washington. Wayne was born to Gwennie and Stanley Richey in Springerville, Arizona on August 3, 1947. He grew up enjoying the great outdoors where he spent much of his time trapping, hunting, fishing, and causing mischief of one kind or another. Whether he was hiding in the trees shooting people with his BB-gun or siccing his dog on the city irrigation worker, he was always looking for a good laugh! Wayne’s fun loving personality was coupled with an appreciation for hard work. In his teenage years he worked for one of his all-time heroes, Rob Roy Patterson, as a ranch hand until he left to serve a LDS mission in Sydney, Australia. Upon his return, he met the only woman that could wrangle him in. Wayne and Renee met at a dance at Arizona State University in Tempe and later married on March 29, 1969 in the Mesa, Arizona LDS Temple. 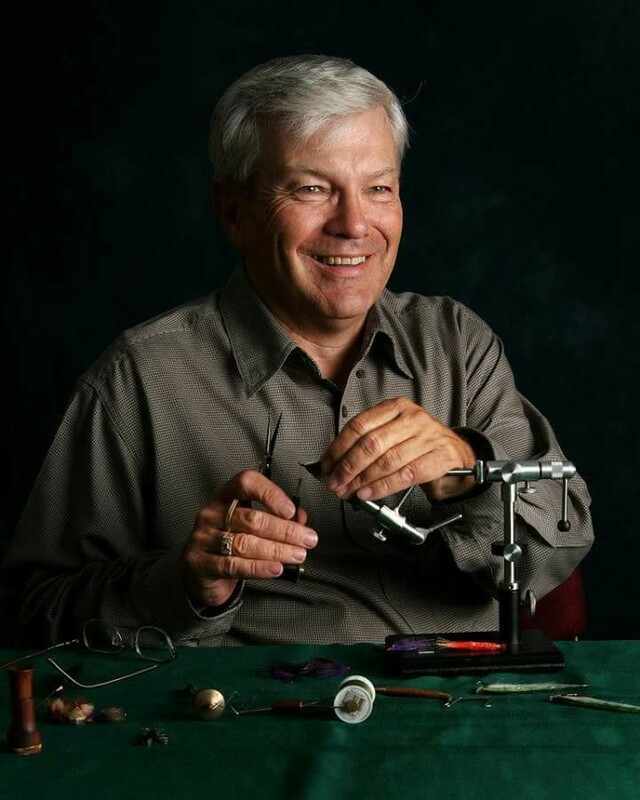 Wayne was an innovative businessman and contributed much to the development of the rolling shutter and fly fishing industries. He was a faithful member of the LDS Church where he served as a Bishop. His last and favorite callings were teaching the 11-year-old children and the Sunbeams. He had a genuine love for people young and old and never met a stranger. Wayne loved to fly fish and was passionate about preserving natural fish habitats. His greatest love, though, was his family — especially his grandchildren. They had the ability to soften his rough cowboy exterior and he loved telling them stories, snuggling them in his rocking chair or giving them a ride on the lawnmower, tractor, or quad. Wayne was a masterful storyteller and enjoyed making people laugh with his colorful cowboy jokes and expressions. We will all miss his contagious laugh. Wayne will be dearly missed by his family: Renee, his loving wife of 48 years, his children Elise Richey, Travis Richey, Derek (Sarah) Richey, Tyler (Julie) Richey, Tara (Keith) Fisher, and Tenielle (Chris) Bender. Wayne’s unmatched bedtime stories will be missed by his 17 grandchildren with 1 on the way. Wayne also leaves behind his siblings Elwood (Juanita), Don (Candace), and Charlotte (Merwin) Grant. There will be a viewing held at the Church of Jesus Christ of Latter-Day Saints, on 2549 N 32nd Street, Mesa, Arizona 85213 on June 16th at 5:00 pm. Funeral Services will follow at 7:00 pm. A graveside service will take place at the St. Johns Cemetery in St. Johns, Arizona the following afternoon at 3:00pm. A memorial service will be held at the Church of Jesus Christ of Latter-Day Saints at 21720 NE 29th Ave, Ridgefield, WA 98642 on June 24th with visitation at 10:00 am and services at 11:00 am. He was my Bishop at one time. I knew him as a very caring person. My love and prayers to the family.